B and H Manufacturing is a leading provider of a wide-range of heavy-duty, quality equipment; ranging from cultivators, fortifier fertilizer units, snowblowers, lawn mowers. B & H Manufacturing's farm and agriculture equipment includes strip-till equipment, fertilizer attachments, fertilizer openers, fertilizer row cleaners, row crop cultivators, zero turn mowers and rear mounted snow blowers. B and H Manufacturing Labelers provide the speed, accuracy and flexibility for precise demanding applications. B and H Manufacturing manufactures a range of Labelers that offer different functions and capabilities. 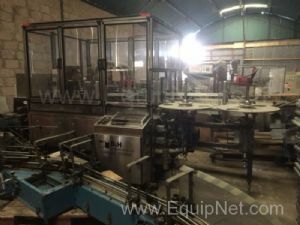 EquipNet carries a variety of used B and H Manufacturing equipment.